Wendy has been a volunteer with CA Merton & Lambeth for a little over 2 years, volunteering for one day per week as an Information Volunteer. Wendy fits volunteering around her job as a librarian, changing her volunteering hours to make sure she can manage both commitments. Wendy says: ‘As a librarian I have always given information to customers, and over the years have referred many people to Citizens Advice, so it seemed a logical step to volunteer with them when I had the opportunity. At CA Merton & Lambeth we empower people to take control of their lives’. As an Information Volunteer, Wendy explains that her role is to ‘welcome clients, entering their details on to our computer system. Sometimes I help people use the computers to apply for benefits or to write letters, and sometimes I help them use the telephone to get information. I also direct clients to other organisations who could help them with specialist advice’. Wendy has recently decided to try another volunteering role, and has nearly finished her training as an AdviceLine Volunteer. She says: ‘I am so impressed by the AdviceLine team; they are so friendly, helpful and knowledgeable’. When we asked what she would say to someone who was thinking of volunteering, Wendy says ‘ Just do it! What will you get out of it? You could get some experience to improve your CV, you could get that warm glow of satisfaction from helping someone. Or it could just be the smile on a client’s face as they leave, knowing that their life is about to get better’. Verena has been a Volunteer Adviser with CA Merton & Lambeth for since 2014, time which she says has flown by! Verena is with us from 10am until 4pm (sometimes leaving earlier than this) on two days per week. On a typical day Verena will do two booked appointments with clients. 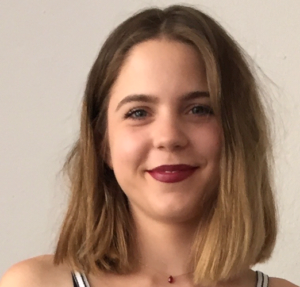 During these 45 minute appointments Verena will ‘spend a fairly long time asking questions and listening carefully to the answers, looking up information and making phone calls and then either assisting clients to resolve their issues or encouraging them to act themselves’. ‘The thing I most enjoy about volunteering is the people – other CA Merton & Lambeth volunteers, staff and our clients. It is a real melting pot of personalities and life experiences that teach me something new every day’.‘I am thrilled each and every time something I do helps make even a little positive difference to someone’s every-day life’. Verena has found volunteering to help improve confidence (especially with using the computer), as well as her listening skills. ‘After many years out of the workplace raising my family my computer skills were very rusty but I am much more confident now even though I still type with 2 fingers! I am much better at listening and not jumping to conclusions so quickly’. If you are considering volunteering, Verena’s advice is: ‘just do it. You will learn so much about 21st century Britain and about yourself’. 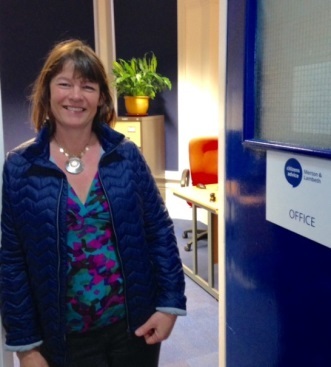 Cathy has been a volunteer with CA Merton & Lambeth since 2013, volunteering mainly at our Streatham Hill office. Cathy is with us every Monday and Thursday, for six, sometimes seven hours per day. Over her time with us, Cathy has also been part of our outreach team, supporting our work in community locations in Lambeth, and has also supported IT developments. Cathy enjoys being part of a team and says ‘I enjoy the feeling of achievement at the end of the day. I’m always proud when we can help someone achieve something they thought impossible before we got involved’. This is something that happens often at all of our busy offices. 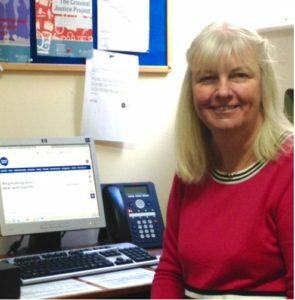 Cathy mainly supports our face to face Advice service, usually providing 10-15 minute assessment interviews, up to ten times per day. This involves ‘finding out what their situation is, asking what help they want, and then identifying the best next step for them to achieve their goal. Sometimes this will mean giving them an appointment with one of our trained advisers, but other times it will be giving them information so they can help themselves, or telling them of another organisation or specialist body that can help them better than us’.Cathy has a varied background, working in IT for 20 years and then in an administrative role with a local political party. Cathy has lived in the Streatham area for 30 years, has two grown-up children. 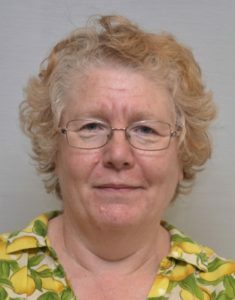 Aside from volunteering with us, Cathy is also a governor at a local school, enjoys baking, being a member of a book group, going to the theatre and following cricket. Cathy would like to say to anyone considering volunteering: ‘Do it! It is a very rewarding experience. You will get full training and you will be part of a supportive team’. Clare answers phone calls from across West and South West London as part of our Adviceline partnership with other London boroughs. A call will usually last between 10 and 20 minutes, with time to write up the notes onto our system. Clare has put her experience of Citizens Advice to good use, although has noticed some difference between the problems people are facing in London compared to Norfolk, and the support networks available. She says: ‘Most of the issues are similar to Norfolk, more people with problems with housing, though fewer with issues related to lack of internet/public transport. The learning curve for me was the different provision of services in the different boroughs, but the computer information is good and my colleagues incredibly helpful and knowledgeable’. ‘My motivation when I first started 10 years ago was to help people and to put something back, but this quickly grew to enjoying the challenge of thinking on your feet, the satisfaction of being able to help people improve their lives, and the better understanding of people’s lives’. I have improved my analytical and interviewing skills. It has given me a much greater understanding of what’s going on in the local community and nationally. Clare has a varied background, with a degree in archaeology, followed by time spent travelling and a career in HR. Clare started as a volunteer when her youngest child was 8. As well as volunteering with CA Merton & Lambeth, Clare supports the local food bank, does fundraising for Norfolk Churches Trust and is a patron of Norfolk Homestart. Clare loves reading, gardening and looking after her dogs. Laura is an Adviceline Volunteer, who has been volunteering with CA Merton & Lambeth for the last 8 months. Laura lives locally in South London, and is a recent graduate in history, now studying the Legal Practice Course at BPP in London. She is due to start her career as a lawyer in August. Outside of studying and volunteering, she likes visiting art galleries and going to concerts. Many of our volunteers are students like Laura, and find the combination of gathering experience and developing skills to be helpful in starting a career. 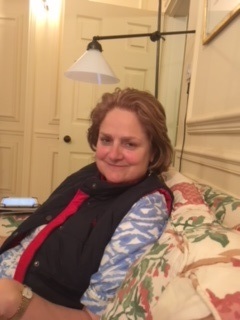 As with many of our volunteers, Laura has developed information and problem-solving skills, telling us ‘I have improved my ability to pinpoint relevant information’, and that her proudest moment as a volunteer is ‘probably the first time I remembered exactly where I needed to search in order to answer a client’s query clearly and quickly’. Laura’s role in the Adviceline team means talking to clients about a wide variety of different problems, including housing, debt and benefits. Each client and each problem is different, making the role varied and interesting. Laura says this has meant she has ’learnt how to listen to clients without jumping to any conclusions’.